Ever wondered what life as a student is really like? Gain a first-hand insight into university life through an opportunity to shadow a student. Would you like to live the student experience for a day and see what Higher Education is really all about? 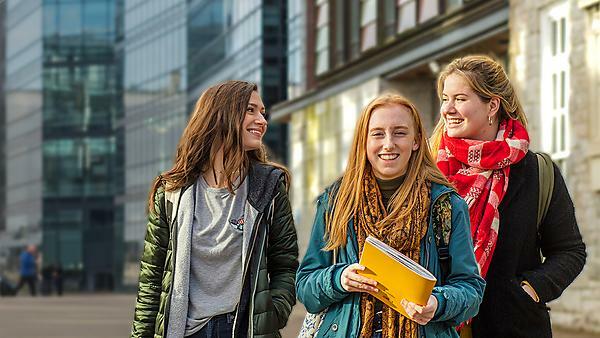 By spending a day with a current undergraduate student, you'll have the chance to see university life for yourself and get an insight into the kinds of courses you could do. Who is student shadowing for? Are you unsure which university course is right for you? Are you looking for extra experience to strengthen a university application? Would you like to know more about university? If so, the student shadowing scheme is for you. The student shadowing scheme at the University of Plymouth is open to all students from years 12 and 13, as well as any students progressing to the University from our partner colleges. What you'll do on a shadowing day depends on which course you're interested in and the timetable of the undergraduate student you're shadowing. Typically your day will include: lectures, seminars and workshops, spending time in the library and seeing any specialist facilities for your course. You'll also have time to relax in the Students' Union, meet other students and find out about student life and studying your course of interest. The scheme will be running throughout February 2019. If your application to take part is successful, you will be allocated a date within February. If you are unable to attend the shadowing day on the date that you are offered, we will try and find an alternative date but please be aware that this is not always possible due to the timetables of our undergraduate students. If you have any questions, please email the Schools and Colleges Engagement team at outreach@plymouth.ac.uk.